Combining botanical energies with the magical process of a creative practice results in materials infused with natural beauty and the quest for harmony. mixed color is a textile studio providing functional pieces that are thoughtfully made, as well as sharing skills so that others may do so themselves. mixed color is a platform for creation that embraces the space in between, inclusive and universal in its nature, mostly expressed in wearable textiles. It celebrates the odd beauty, enhanced by slight imperfections, taking society and nature’s discards and transforming them into usable objects. 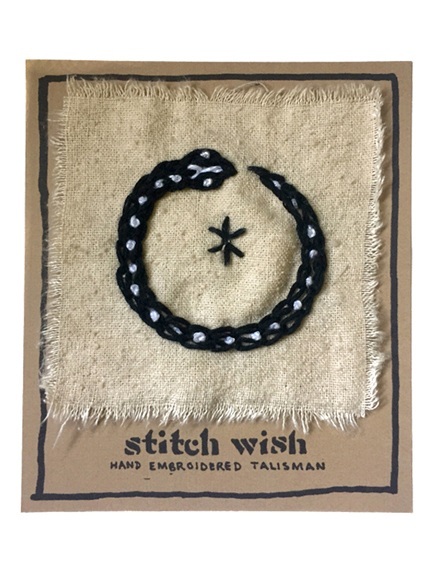 This website is also the home of Stitch Wish, a collection of hand embroidered talisman patches created to help access the inner realms of consciousness through symbolism. Our conscious minds speak in language, our subconscious speaks in images. 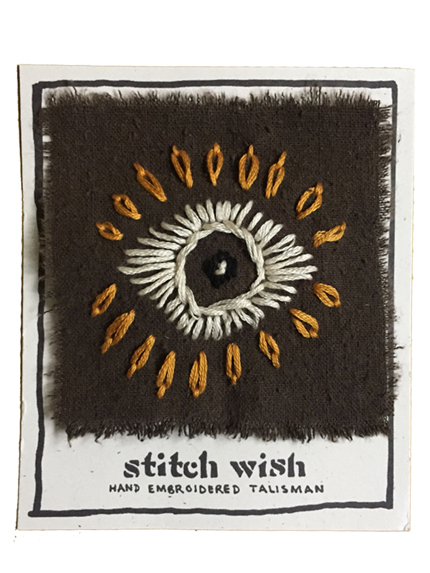 By stitching a patch to a sacred textile, you're offering a representation of your intention that you’re able to interact with frequently. 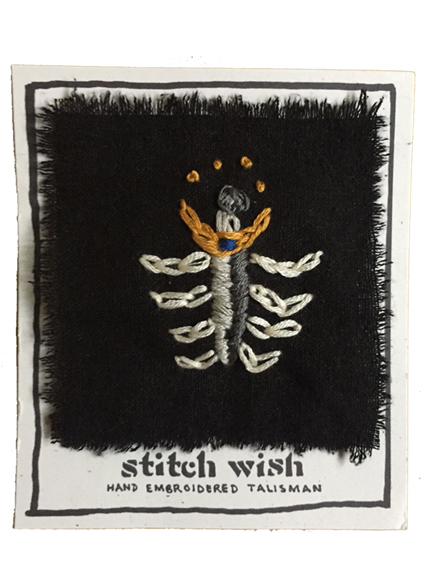 Read more about Stitch Wish here. sign up for email newsletter to get your free downloads! Click on the image above, or scroll to the bottom of this page to sign up. Necessity is the mother of invention, and of many creative endeavors. My textile exploration began as a means to adorn myself with opulent threads I wasn’t able to find in stores, and has evolved into an artistic and spiritual practice. Through creating with textiles, our most intimate of personal belongings, we may begin to recognize the power we have to make what we want to see in our lives. In the mixed color textile studio, a metaphysical approach is taken with the creative process. My practice begins in physical forms and fibers, working with art as a sacred and blessed experience. Through my textile arts kits, I hope to not only educate others on these ancient skills, but also share the methods of my own creative practice. Intentionally developing your creative abilities is a way of liberating your mind from previous experience. 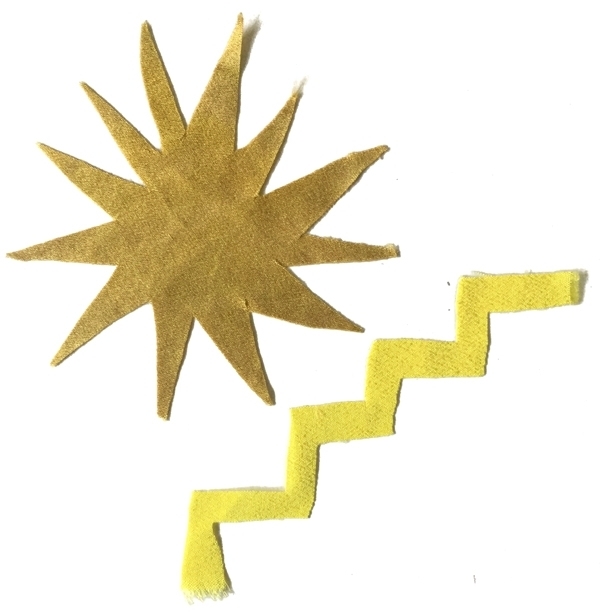 Allowing the brain to work in new and unusual ways re-wires neurons and creates new pathways. Our current programming essentially means our body is living in the past, so it responds and reacts as such. When we consider new possibilities on a regular basis, we learn to liberate ourselves, and allow space to embody new ways of being. The creative process is transformational in nature, and it's my belief that sharing these opportunities for transformation can support others in the same way it has supported my own personal evolution. I’m a maker of textile talismans that honor the body, its boundaries, its extensions, and its relations to the world and cosmos around us. Everything that comes from my studio has been hand-crafted, my pieces are made in small batches, and are frequently one of a kind. FOLLOW THE PROCESS ON INSTAGRAM!